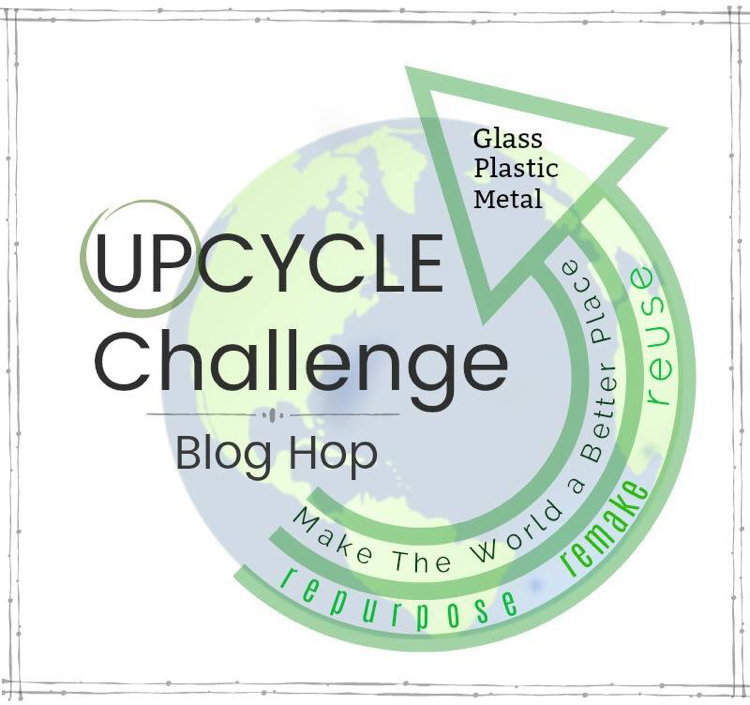 Today I am joining a great group of bloggers for the Upcycle Challenge Blog Hop. 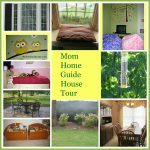 For this blog hop, we all repurposed, remade or reused a glass, plastic or metal item. One goal with our crafts is to do what we can to make the world a better place! In the winter, I like to do what I can to feed the birds. 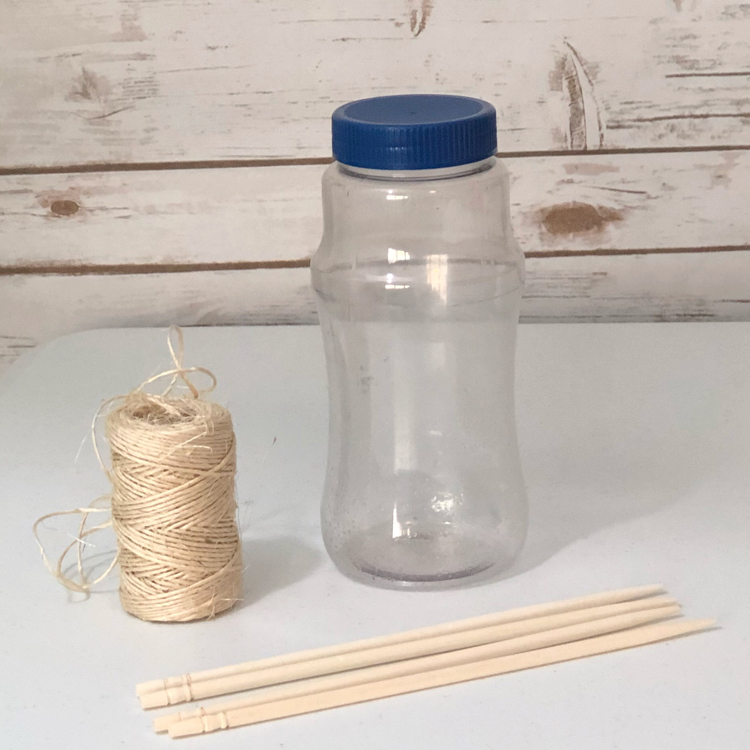 I decided to create a quick and simple bird feeder using an old plastic jar, chopsticks and twine. My daughters and I love to watch the birds eat from our bird feeders from our living room bay window. My aim was to have bird perches toward the top, middle and bottom of the feeder. 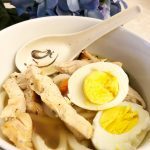 After I had the chopsticks inserted in the bottle, I used a scissor to make a small hole above each perch. (I found the easiest way to make the holes was to poke the scissor into the bottle and then turn it.) The birds can use the holes to get access to the bird seed. 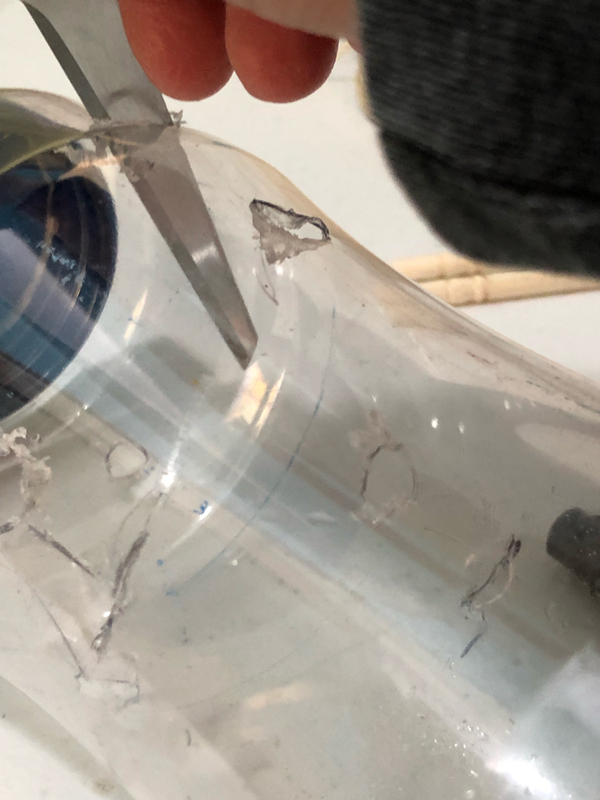 After I had the feeding holes and perches completed, I poked two holes (on opposite sides) toward the top of the bottle. I ran a length of twine through the holes and knotted it at the top to create a loop from which to hang the bird feeder. After that, all there was left to do was fill my new bird feeder with bird seed and hang it! 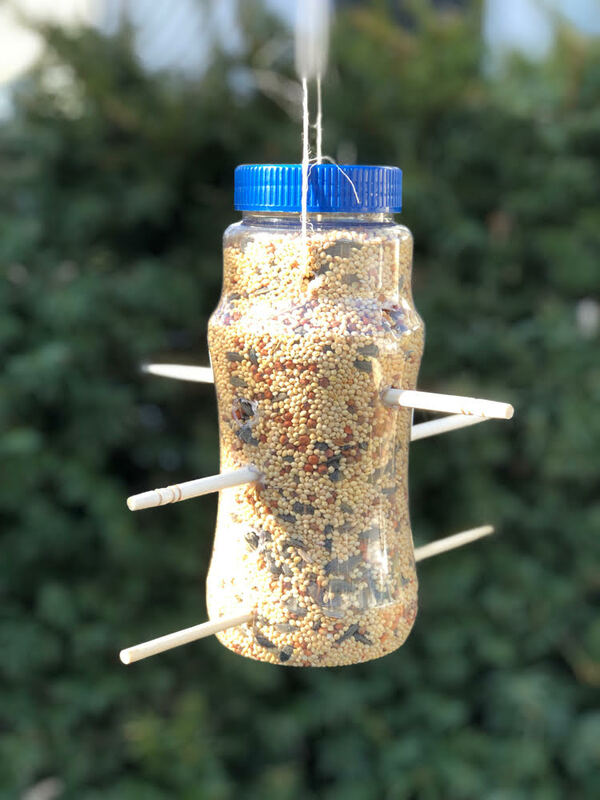 This project was so easy that I’m planning to make another DIY bird feeder as soon as I get another empty plastic bottle! I also like that should these bird feeders get really dirty, I can recycle my DIY bird feeders once they are empty and start fresh! 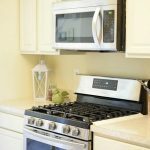 Wild Birds Unlimited says it’s important to have clean feeders and a variety of food out to attract birds to the backyard. 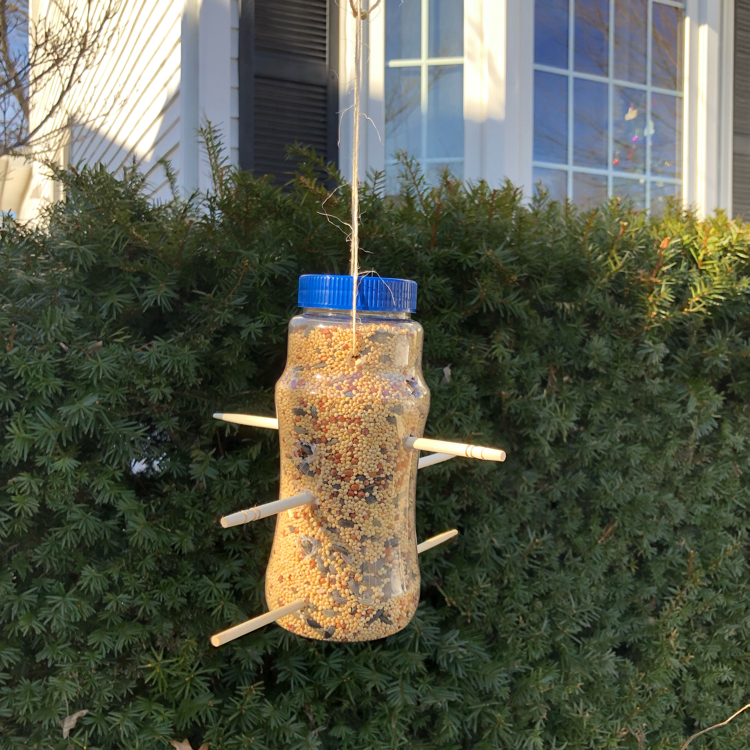 By making my own bird feeders, I should be able to put out different kinds of seed for birds and keep my feeders clean more easily. 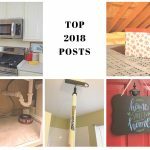 Hope you are enjoying this blog hop! By the way, can anyone tell what kind of bottle I used for my upcycled bird feeder? Hint: The bottle held one of my favorite sweet and salty snacks! 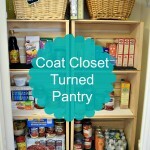 Be sure to check out my friends’ thrifty green projects! 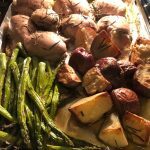 I am always looking for ways to repurpose my plastics. My birds are going to love this one. 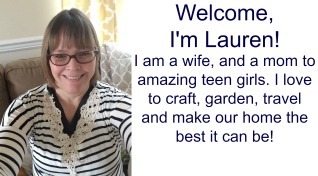 Thank you for the fun craft.